Driving School . 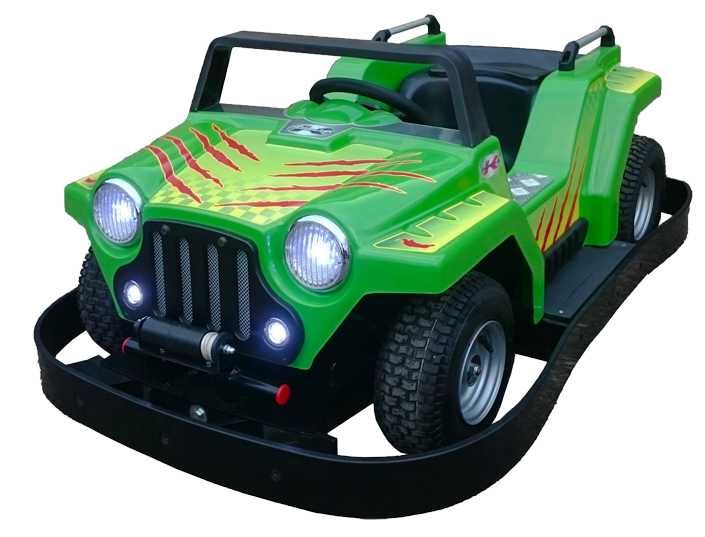 Mini Cars & Go-Kart Manufacturers. 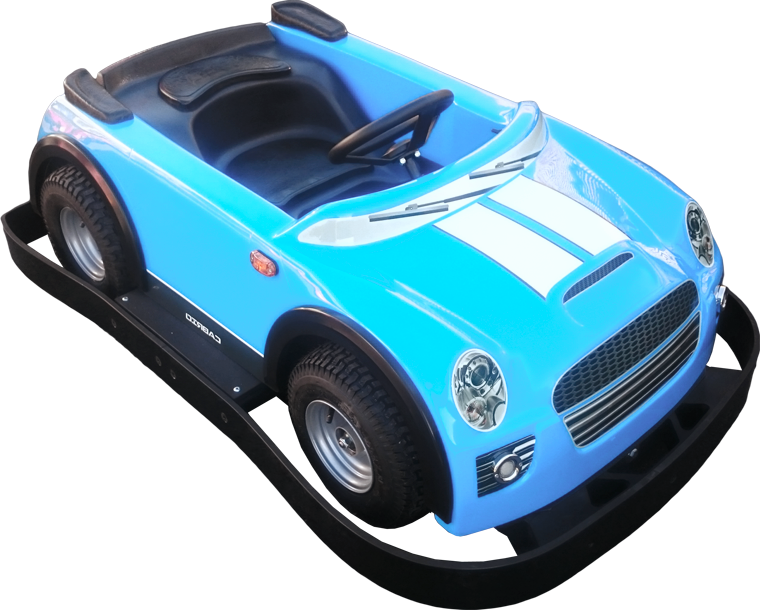 In addition to the range of children’s coin operated vehicles Formula K manufactures a range of mini cars which have features and appearance perfectly blended for use in a driving school attraction. So what is a driving school attraction ? “Driving school” describes a popular mini-car attraction that normally will allow a greater freedom of travel route and multi-directional roadways simulating a real world urban driving experience. Driving school tracks will generally occupy a larger footprint area to allow for multi lane driving and to encourage interaction between junior road users. Tracks are often enhanced with roundabouts, stop signs, pedestrian crossings and traffic signals. 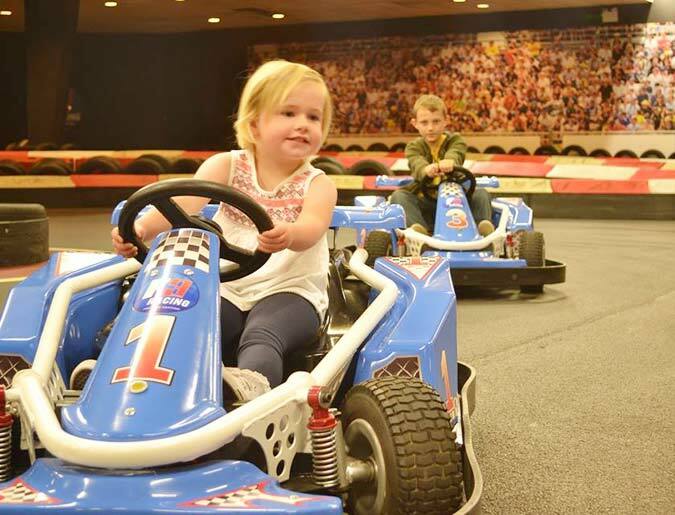 Road systems that are encountered every day in a normal driving conditions, creating a sensation of freedom for the child and an interactive and educational element to the ride experience, that assures the ongoing popularity of the attraction. What’s the difference between a driving school mini-car and a regular mini-car? Any Mini-car can be used within a driving school attraction, all mini-cars share the same functionality and hardware. 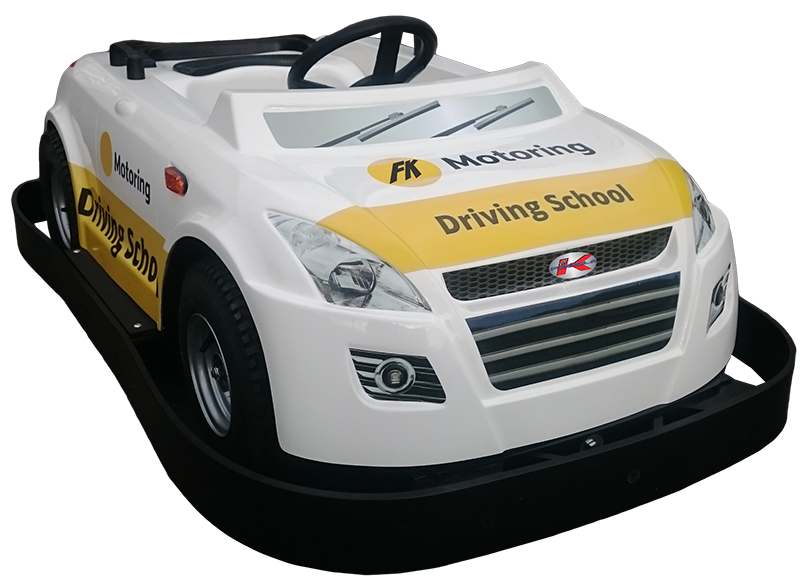 Driving school cars often operate without coin mechanisms and are remotely triggered using an 1 operator handheld control system, a system which Formula K can supply with any mini-car in the range. A driving school will typically have more cars per square metre than a conventional mini car track travelling in different directions, so to maintain the fluidity of operation in this situation cars can be fitted by a remote safety cut-out and also an optional module that automatically reverses the car for a short duration to free it from any immovable obstruction. We manufacture a range of cars that replicate the profile and styling of typically found vehicles on modern roads today which compliment and enhance any driving school operation with safety and reliability.